Dr. Cheri Mah studies sleep and performance in elite athletes. Her tips can help us all get the quality rest we need. By Cheri Mah, as told to Thrive Global Studios. Cheri Mah, M.S., M.D., is one of the most sought after sleep scientists in the sports world, consulting with Olympians and a growing list of professional teams including the Golden State Warriors. Over the past decade, her research has focused on the relationship between sleep and performance in elite athletes. 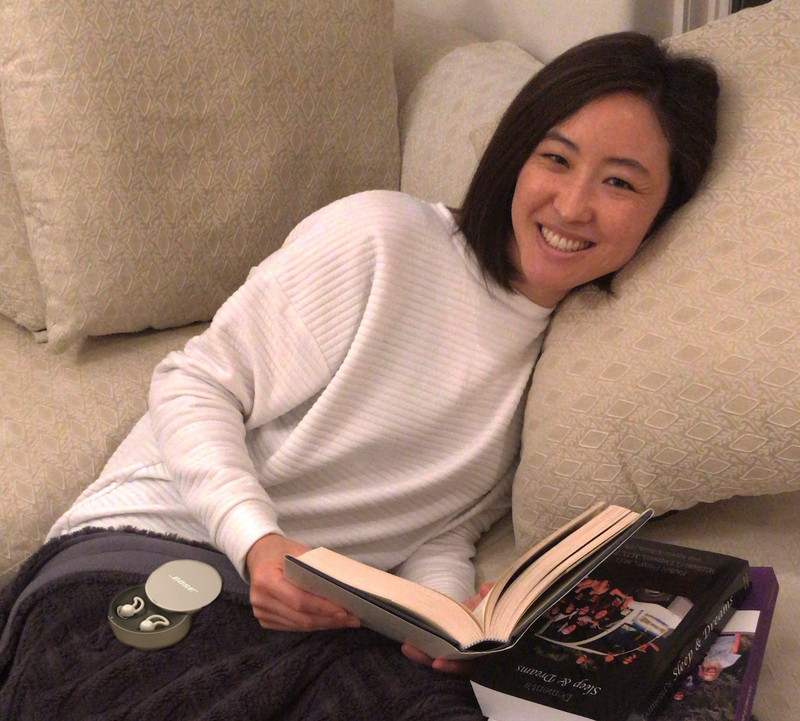 Here, Dr. Mah, a Physician Scientist at the University of California San Francisco (UCSF) Human Performance Center, shares the nighttime routine that keeps her athletes (and herself) at the top of their game. “I conduct sleep research at the University of California and I’m also a physician in medicine with a challenging and changing clinical schedule. In an ideal world, I’d love to have more consistency in my sleep schedule. It’s a struggle for me to get the nine hours that help me feel my best. But I do try to follow the research and the advice I give to the athletes I work with. At night, the key for myself and my athletes is to have a wind down routine. Even if they start out with a very brief version — just five minutes — having that routine mentally prepares them to prioritize sleep. It also helps prompt an interesting switch in their mindset of how they view sleep: They start to self-discover that they can prepare for recovery and sleep in the same way that they prepare to physically train for their sport. I actually worked with [NBA player] Andre Iguodala to implement a wind down routine, and his performance really did improve — his free throw percentage increased by 8.9 percent, which is aligned with what I demonstrated in my research with the Stanford men’s basketball team. Having that regular routine, and the same bedtime each night, are important components of healthy sleep practices. I try to keep my own routine regular and make it a priority to get at least seven hours of sleep. I’m used to turning off the light by about 10, or even a bit earlier. I think it’s important to have a bit of a buffer from the chaos of our day, and to wind down and relax to allow you to get that quality of rest you need. I set an alarm on my phone to remind me when to start to wind down and to stay on target for my bedtime. So when my alarm goes off, that gives me a trigger that says, ‘Okay Cheri, you have 30 minutes to wrap up your day and finish the task that you’re doing.’ Research shows that powering down technology to minimize exposure to blue light — which can negatively impact sleep quality — is vital. Because of that, I’ll get off of all my devices. I’ll physically flip over my phone so it goes into ‘Do not disturb’ mode. About an hour before I want to go to bed, I’ll have a warm tea and read or have quiet time to wind down. Sometimes that ends up being a little bit of prayer or a gratitude practice. In the chaos of the day, it’s nice to protect that quiet time. I try to be mindful that it’s a little bit of the day that I can look forward to, because it gives me a chance to relax and reflect. I’ll also stretch and do breathing exercises. That’s a strategy I use with a lot of my pro athletes. Many of them have yoga stretches or foam rolling that they do regularly with their team, and I encourage them to integrate it into their wind down routine. I think it helps that they choose an exercise that they’re already familiar with, so they’re more likely to use it. Similarly, many athletes already do breathing exercises with their team, so I’ll have them pair those with stretching in a dimly lit, cool, quiet room to prepare for sleep. Even though stretching is active, you can partner the deep breathing exercises with it to activate your parasympathetic system and start the transition to sleep. I find that so effective. I was actually a dancer for 15 years, so the stretches I use are from that training. I use movement that incorporates the whole body, by relaxing the neck, shoulders, arms, and lower extremities. They help my system relax. I focus a lot on my sleep environment — keeping it quiet, dark and cool — since research shows that is a factor. I’m a medium sleeper, but I will awaken to noises. I live in San Francisco, so I hear the city, the cars, and my neighbors in the adjoining flats, but I’m typically able to fall back asleep. I’ve started using [Bose] sleepbuds, and they’re comfortable — they stay in my ears through the night and they dampen those surrounding environmental sounds in the evening. When I have to travel, I think in advance about my sleep so I can best optimize it. I think about where my hotel is, and where my room is. I generally try to get rooms that are not next to elevators, that are away from known construction, and that tend to be on higher floors — because all of those can affect your quality of rest. Then, just like the athletes I work with, I stick to the same wind-down routine that I do when I’m at home. This article was produced by Thrive Global and sponsored by Bose.